It’s come down to this, ladies and gentlemen: My wife and I have to whisper whenever we mention the name of an electronic presence we have brought into our home. As for the “play music” command, we can instruct “her” to play rock music, gospel music, country music . . . whatever genre we choose. Weird, yes? I think so. I’m now waiting for the technology that allows “Alex” to tuck us in at night. We find ourselves awakening “Alexa” when we mention “her” name in casual conversation. “She” tells us “she” doesn’t understand what we’re saying. “She” asks for clarification. When we give “her” none, “she” goes quiet. 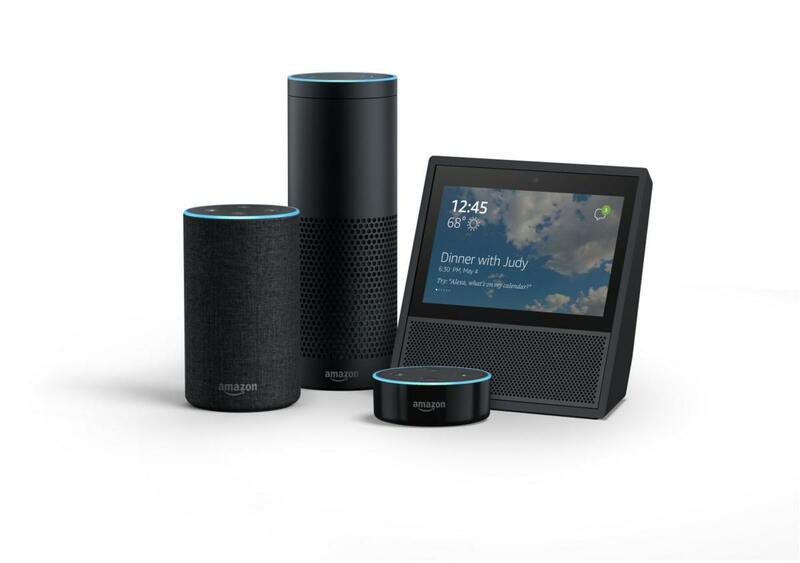 Now, though, “Alexa” is responding to the sound of “her” name when the TV commercial blurts it out. I refuse to turn the volume down whenever one of those “Alexa” commercials airs. So there. Yes, this smart-home technology is rather fun. It gives us a chuckle or two during the day when we instruct our device to do something we used to do manually. You know, things like flipping a light switch. Sheesh! Now in this brave new world into which we have entered, we are forced to whisper the name of an electronic gadget. Surely, “she” won’t take us hostage in our own home. Will “she”? Sod Poodles off to a sold-out start! I am acutely aware that a single sold-out event does not constitute a successful season, let alone a successful sports/entertainment/business venture. However, it tickles me giggly to read that the Amarillo Sod Poodles opening night at home has sold out. Yep. 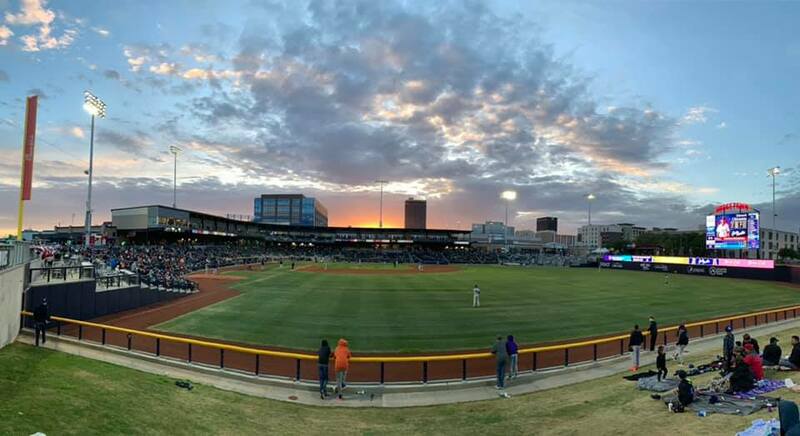 Hodgetown, the AA minor-league baseball team’s home field in downtown Amarillo has zero seats left for the April 8 date. 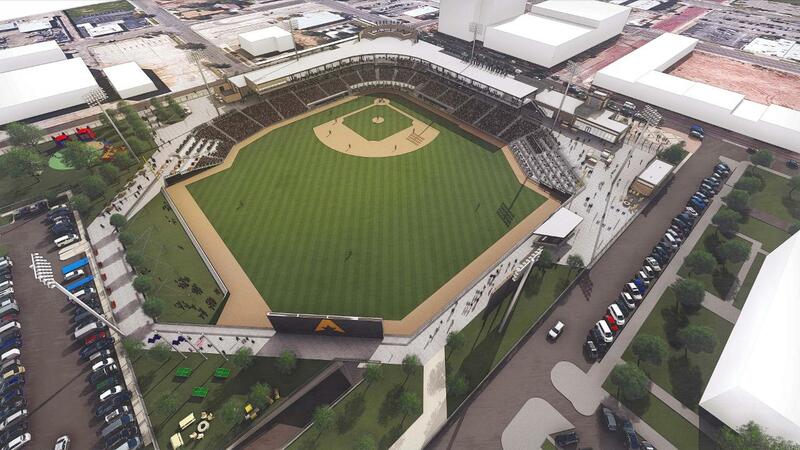 I believe that the sellout could bode well for the interest shown by the community for the Sod Poodles, the team affiliated with the National League’s San Diego Padres. The Sod Poodles have relocated to the Texas Panhandle from San Antonio, where they played as the Missions in South Texas. They’ve moved out to make room in the Alamo City for a AAA franchise that is relocating there from Colorado Springs. Hodgetown seats a little more than 7,000 spectators. All that’s left is standing room-only viewing. A ticket gets you into the ballpark; then you’ve got to find a place to stand and watch the Sod Poodles. I remain a staunch supporter of this effort. To be candid, I had my doubts not too long ago that the city would bring this project to fruition. It did. My concern was misplaced. I am delighted to hear about this latest bit of positive news from my distant perch in Collin County. The future remains to be determined. If this event — the selling out of the ballpark for opening night — can be relegated to the “most recent past,” then let us hope it serves as a prologue for a bright future for the Sod Poodles and for the city that has invested in this worthwhile project. Is POTUS now going to stop tweeting about late-night comics? Donald Trump says he’s no longer going to watch late-night comics because they’re too rough on him. Yep, the president just can’t take all the jokes at his expense from the likes of Jimmy Kimmel, Seth Myers, Stephen Colbert and occasionally Jimmy Fallon. Former “Tonight” host Jay Leno has been making the rounds the past couple of days telling TV hosts that he’s a bit annoyed that the comics have been too tough on Trump. He wants a more bipartisan approach to poking fun at politicians. If the president is telling the truth about changing his TV-watching routine, I wonder if that means he’ll cease firing out Twitter messages blasting late-night comics’ stand-up routines that draw all kinds of laughs. Well, I am not going to hold my breath. Donald Trump cannot help himself. 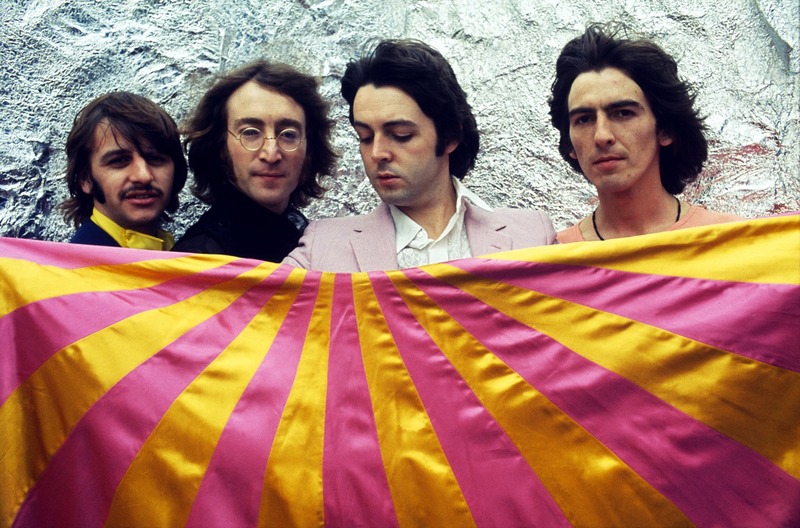 The Beatles’ legacy will live . . . forever! ALLEN, Texas — So, I walked into a sporting goods store today with my sis and her husband. We made a purchase and walked to the checkout counter. I looked at his name tag with the name: Lennon. What in the world? Yes, his dad is a major Beatles fan. So is the young man, who I figure might be 20 years of age. My sis told the young man how we — she and I — attended a Beatles concert in Portland, Ore., in August 1965. “Front-row center seats,” she told him. Lennon wanted to know how we liked it “with all the screaming.” It was a challenge to hear anything, I mentioned. Sis told him George was her favorite Beatle. Lennon said his mom wanted to name his brother after Paul McCartney. I wondered: Huh? Well, I suppose he could be called “Mac.” Lennon’s parents ended up naming his sibling something else. And so . . . I received yet another example of how the music of my generation lives forever. The Beatles’ legacy will live on for as long as human beings are able to listen to music. I know he’s not the only child — or grandchild — of those who grew up listening to those fellows. I am having trouble connecting a few dots related to the Jussie Smollett arrest for allegedly orchestrating a hate crime committed against . . . himself! Smollett is an actor currently performing on the TV series “Empire.” He reported in late January that two men assaulted him, tied a noose around his neck and said he was in “MAGA” country, meaning he was in a region that favored Donald Trump. 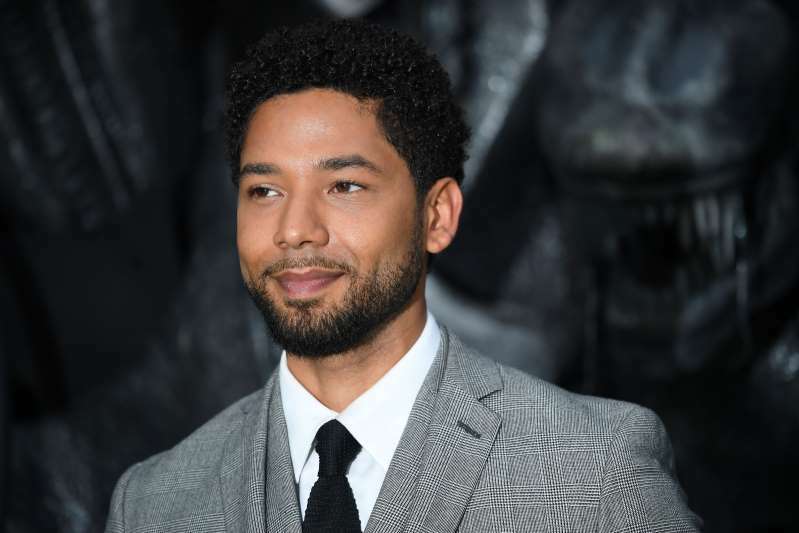 Smollett, an openly gay African-American, reported the assault and the cops launched an investigation into the so-called hate crime. Well, now we hear Smollett has been charged with filing a false police report. He paid two guys to assault him, according to the police detectives. Oh, those dots I cannot connect? The police say Smollett orchestrated the attack because he is dissatisfied with the salary he’s getting from Fox TV for his role on “Empire.” To which I say, simply: Huh? Let me see how this plays out: An actor thinks he isn’t getting paid enough so he concocts a hate crime assault, thinking that as a victim of such an act he’s going to get more money? This is a patently weird story. I’ll be totally candid: I had never heard of Jussie Smollett until the young man reported a few days ago that he had been the victim of a hate crime. I don’t watch “Empire,” so the actor slipped under my TV-watching radar. It was in all the papers. Now I know far more about this guy than I care to know. He has been accused of fabricating the incident and of paying two brothers to orchestrate a “crime” that the alleged “victim” made up. I was struck by a couple of aspects of this morning’s announcement that Smollett had been arrested and taken into custody by the Chicago Police Department. One was the absence of the word “allegedly” by the police superintendent, Eddie Johnson, who appeared to my eyes to be furious at what his detective division uncovered about Smollett’s supposedly phony involvement in this incident. Smollett said someone attacked him and threw racial and homophobic slurs at him; Smollett, who is African-American, also is openly gay. The alleged attackers were supposedly wearing “MAGA” hats and passed themselves off as Donald Trump supporters. The police superintendent also took pains today to say how much time, money, manpower and emotional energy was wasted by the phony accusation. Smollett had leveled a serious charge of a hate crime. The police took his complaint as seriously as it takes any such incident. As I watched the press conference today, I was struck by the utter certainty in the voices of Johnson and the head of the CPD detective division. They believe they have solved this matter. Jussie Smollett is presumed to be innocent. I get that. However, just as all the entertainment and media powerhouses who’ve been accused of sexual misbehavior also are presumed innocent, their careers are toast. I’m betting so is Smollett’s career. To think that he supposedly set this “crime” up because he wanted more money for his acting gig on “Empire.” My strong hunch is that his entertainment income is about to dry up . . . rapidly! And let us all hope that Smollett’s reported fakery will not hinder others from reporting actual hate crimes when they occur. As for the brothers, it likely turns out they are the victims. These are the Beach Boys? Check out the picture. 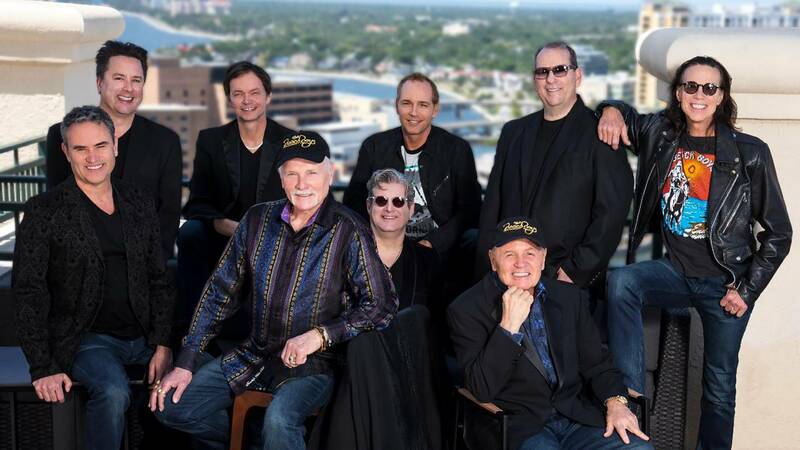 It is of the Beach Boys, the iconic band from the 1960s. Except for this little item: The Beach Boys that I used to listen to comprised five members; this bunch totals nine men. What’s more, two of the original Beach Boys are dead: brothers Dennis and Carl Wilson. And . . . the creative genius behind the band, Brian Wilson, no longer plays with the band he founded. Check out the two men in the hats. The one on the left is Mike Love, the lead singer of the Beach Boys dating back to their glory days; the guy on the right is Bruce Johnston, a long time band member, but he was a part-timer back when Dennis and Carl were still with us. Oh, and then we have Al Jardine, a friend of the Wilson family, who also was a member. I guess my point is that the Beach Boys whose music I used to enjoy no longer exists. I hope they can at least sound like the Beach Boys.